The Australian Institute of International Affairs for WA Inc. (AIIA WA) launched the AIIA WA Bursary for an educational experience in Asia program in December 2011 to encourage and support students of WA universities to undertake educational activity in Asia. The Bursary is now open to all young Western Australians under the age of 30 (when the educational activity commences). The aim of the Bursary is to assist achieve AIIA’s mission to promote interest in and understanding of international affairs. The Bursary is supported entirely through donations by AIIA members and supporters. Thanks to the generous support for the program, AIIA WA has been able to award $2,000 bursaries to two students each year to assist fund their chosen educational experience in Asia. Owing to the success of the WA program, this model has since been adopted by the AIIA at a national level with the establishment of the Euan Crone Asian Awareness Scholarship in 2013. Applications for the 2019 AIIA WA Bursary for an educational experience in Asia program are now open. The closing date for applications has been extended to Friday 31 May 2019 (by 11:59pm). Applicants must complete the application form and attach their academic transcript and personal statement. To be eligible to receive a bursary, applicants must meet the selection criteria below. Successful and unsuccessful applicants will be notified in late June 2019. Successful applicants must provide evidence of the planned travel before the bursary is paid. Bursary recipients are required to provide a report to the AIIA WA Bursary Committee after completing their educational activity, and may be invited to give a short talk on their experience at an AIIA WA event. Bursary recipients are encouraged to attend AIIA WA events and to become involved with the AIIA WA Young Professionals Network to share their experiences and encourage other young Western Australians to apply for the bursary program. NOTE: All applications must be emailed to wa.bursary@internationalaffairs.org.au by 11.59pm on 31 May 2019, with “Bursary Application – [applicant name]” in the subject headline. Like and follow the AIIA WA Facebook page to keep up to date with all the latest news and events! Do I have to be a student to apply for the AIIA (WA) Bursary? No, as long as you are an Australian citizen or resident, and are under 30, you can apply. Do I have to be a member of the AIIA (WA)? No, we have changed the eligibility requirements from 2016 so that it is no longer necessary to be a member of the AIIA (WA) to apply. If you would like to become a member, please visit our membership page or email wa.branch@internationalaffairs.org.au for more information. Can I receive the AIIA (WA) bursary if I am currently receiving another scholarship? Yes, bursary recipients may receive additional financial support from other scholarships, however preference will be given to students who have not received other scholarships or funding sources. Is the bursary restricted only to students of International Relations? No, any applicant interested in undertaking study in Asia may be eligible to receive the bursary. Applicants of all disciplines are encouraged to apply. Are there any restrictions on what kind of educational activity I can undertake? The AIIA (WA) bursary is open to support a broad range of educational experiences and is intended to enhance students’ appreciation of Asian culture and help them to become ‘Asia literate’. It is not necessary for the proposed educational activity to be in the same field of study or work. However, the bursary may not be used to support personal travel, such as backpacking. See our profiles of previous winners for examples of the kind of activities the bursary can be used to support. Can I apply for the AIIA (WA) bursary so I can complete an unpaid internship in Asia? Yes, students wishing to undertake unpaid internships are eligible to apply. Do I need to have all travel and educational arrangements confirmed before I can apply? No, you can apply if you have not yet received confirmation of your intended educational program or travel plans. However, you must have a firm idea of the activity you wish to undertake, and at which institution. Applicants must begin making plans before the bursary is awarded. The bursary application will ask about your chosen institution, and it is advisable to make contact and start to make arrangements early. Bursary recipients will be asked to demonstrate proof of travel arrangements (e.g. flight confirmation, acceptance into educational program) before they can receive funding. Do I need to undertake my educational activity before a particular deadline? No, there is no ‘deadline’ by which activities must be completed. However, if awarded the bursary, you will be required to demonstrate proof that your travel arrangements are confirmed. What motivates you to undertake this educational experience? What do you hope to gain from this educational experience? How well does this educational experience relate to the AIIA objectives of promoting an interest in and understanding of international affairs? 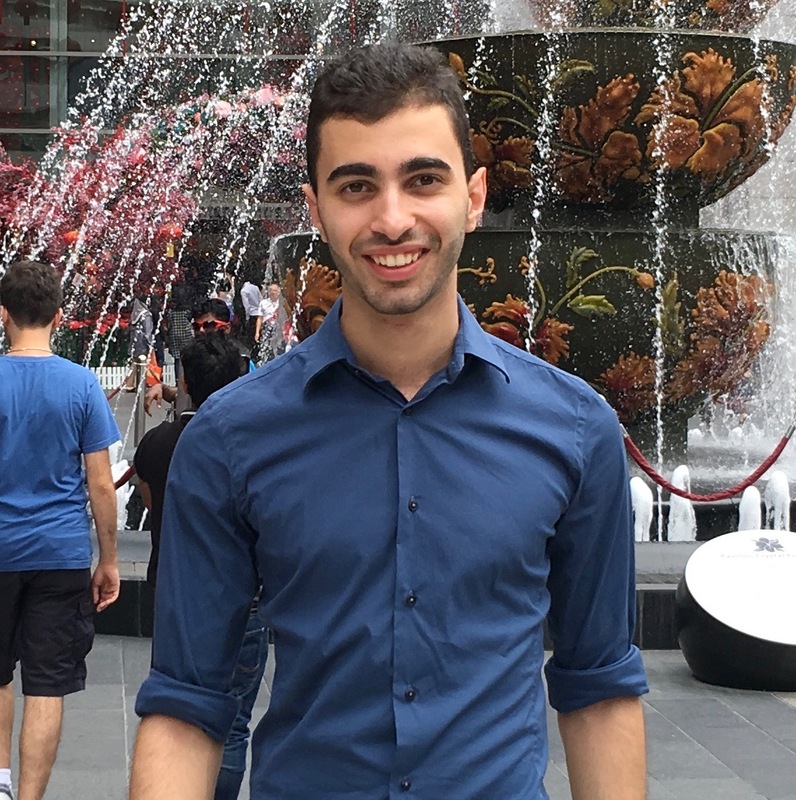 After working through a record number of applications, the judging panel and the bursary committee proudly announced that two recipients of the 2016 AIIA WA Bursary to study in Asia were James Panarettos and Maija Ala-Kauhalouma. The winners received $2,000 to put towards their educational endeavours. James is studying a Bachelor of Philosophy (Accounting and Finance) at the University of Western Australia. He is currently completing his Honours in Economics and is studying in Singapore as a New Colombo Plan Fellow. James will put the bursary towards travelling to Peking University in China. There he will spend six months researching development economics, with a particular focus on poverty in China. Maija is completing a Masters in Development Studies at Murdoch University. She will be attending the 7th University Scholars Leadership Symposium in Hanoi, Vietnam, in August. Maija is passionate about volunteering, gender rights and education, and is hoping to gain a global perspective on these issues at the Symposium. 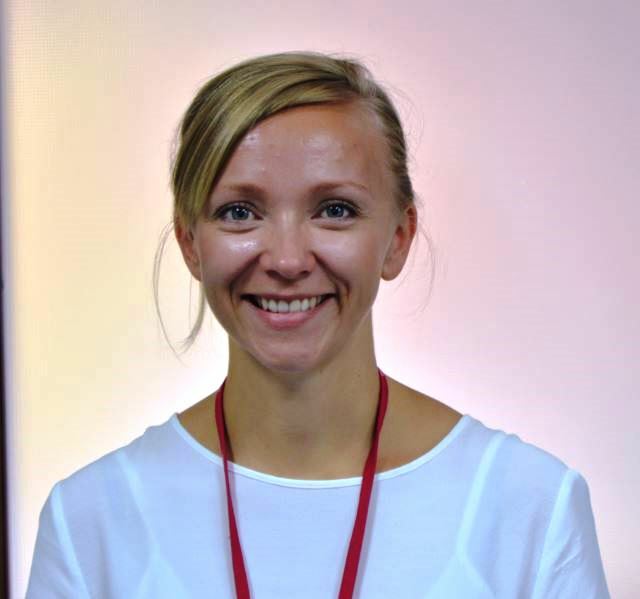 Maija also works as a Community Development Officer with the City of Subiaco, and will be looking to bring back knowledge gained at the Symposium and apply it to her work with her local community. The AIIA WA would like to thank all applicants for putting a great amount of time, effort and thought into their applications. The applications were of a very high standard and demonstrated a great interest in international affairs. We would like to welcome all applicants to our upcoming events. I will be travelling to Cambodia on a Humanitarian Design Summit through Engineers Without Borders Australia (EWB) in July 2015. Through this Summit I will gain hands on experience on how community develop projects are run using Development Technology with the involvement of the local community groups from the start to the finish of a project, therefore allowing for a greater effectiveness and success of the program. It will give me a chance to apply the knowledge and skills gained at university and apply them to a team design project in Cambodian community context. I am using the Design Summit as a research internship for my Masters, where I will be focusing on the effectiveness of EWB and its community partners in Cambodia, focusing on the involvement of women in these projects, if there exist any tensions between the Government and INGO’s and the overall sustainability and effectiveness of such programs on the local community. In China I will be using my bursary to study at Fudan University in Shanghai, where I will complete units in International Relations and Asian Studies. I look forward to seeing how these subjects are taught in Shanghai, considering the current political climate of China under the tightening policies of Xi Jinping. Studying in Shanghai will give me valuable insight in to the current state of Chinese political thought and culture. Concurrently I will be studying Mandarin, which will enable my language skills to skyrocket in the cultural emersion that Shanghai will provide. I have been thoroughly enjoying learning Chinese during my time at the University of Western Australia, and look forward to learning much more. This bursary has helped enable me to arrange my study and afford the journey. I hope to make many new friends and connections for my future career. In 2014 I started my career as a journalist at the South Western Times in Bunbury. I have always been passionate about journalism and civic education from a young age. After spending two months in Indonesia working as a journalism intern last year, I decided I want to work there for at least a few years. The culture and politics of the country captivate me. There are news stories everywhere you look. Reporting there would be such an adventure. I applied for the AIIA Bursary to pursue an immersion Indonesian language course so that I could become proficient in Bahasa Indonesia. Learning the language will hopefully allow me to transcend some communication barriers and report on the country and its peoples accurately and in depth. Through journalism, I eventually hope to foster greater intercultural understandings between Australia and Indonesia. I will take up the language course in the middle of 2014, and will relocate to Indonesia on a semi-permanent basis as soon as my finances allow and after a few years experience in the industry. 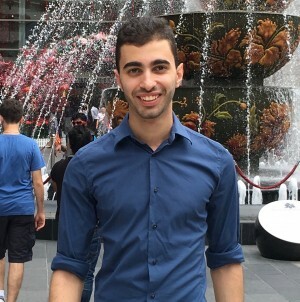 I am currently in my fifth year at The University of Western Australia, where I am studying towards a combined degree in Political Science and Law. I have also taken units in Indonesian up to specialist level, having developed a keen interest in the country and language since I first began taking Indonesian lessons in High School. This interest in Indonesia, as well as a hope to pursue an international career, led me to apply for the AIIA (WA) Bursary to undertake and educational experience in Asia. I went to live in Yogyakarta, Indonesia, for five weeks so that I could attend one hundred hours of one-on-one Indonesian language tuition. While I was there I lived in a home-stay so that I could more readily immerse myself in the culture and get to know the local people. My time in Yogyakarta was a fantastic experience that gave me more confidence not only in my language abilities but also in myself and my career aspirations. In terms of my program itself, I was able to travel to India in June 2012 to participate in a National Immunisation Round in which approximately 75 million children were vaccinated against polio. Not only was it a great experience professionally (following my work on The End of Polio campaign over the last two years), but also on a personal level it was so inspiring to witness firsthand one of the greatest success stories in public health history. I am incredibly grateful to AIIA for making this trip possible.